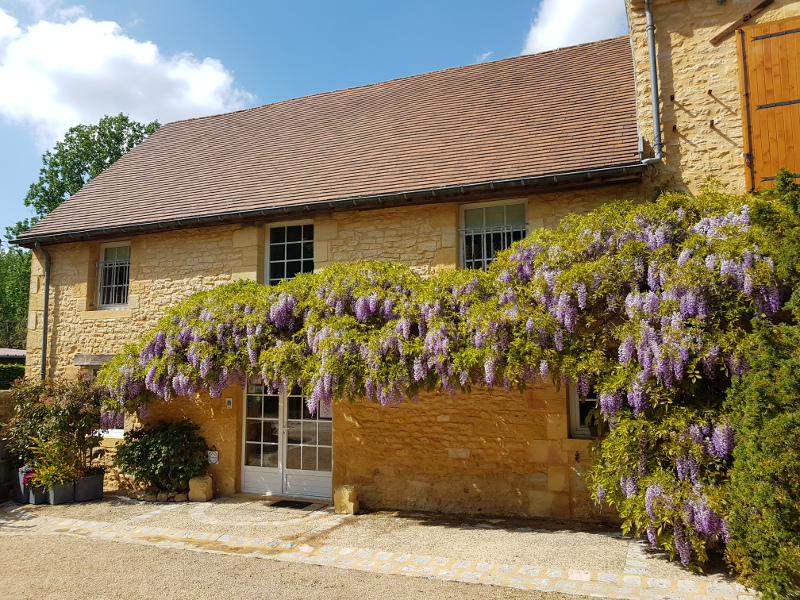 Le Clos Vallis, an old 17th century farmhouse, tastefully restored, is situated 5 minutes drive from the ancient city of Sarlat-la-Canéda. Whether you are seeking a quiet and relaxing time, or more adventurous holiday, le Clos Vallis is an ideal base for you, nestling in a peaceful park, provided with two outdoor swimming pools and furnished terraces. Many restaurants serving regional specialties await you in the center of Sarlat. Free Wi-Fi internet access is available throughout the house. Guests will also benefit from our private car parking. The four spacious bedrooms have en-suite facilities with queen-size beds or twinned-beds. A private guest sitting room with tea or coffee making possibilities is available. 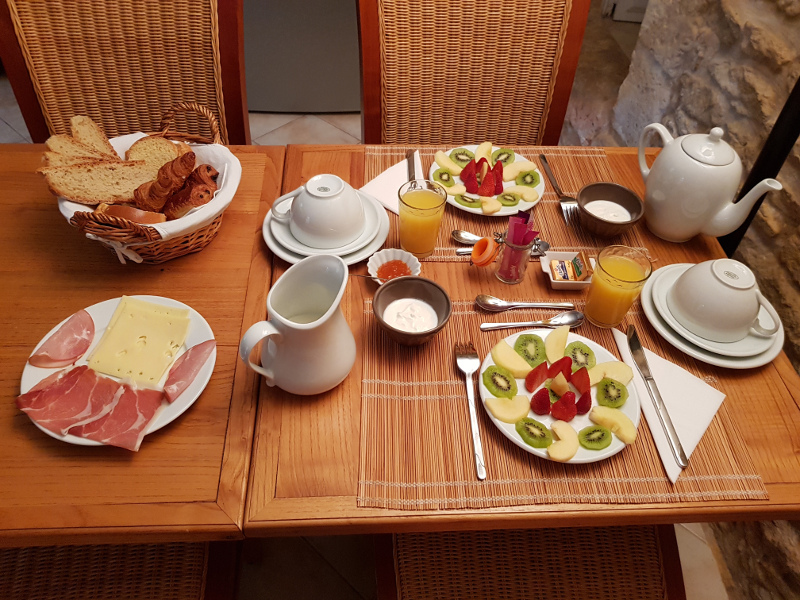 After a comfortable nights’ sleep and before beginning your exploration of Dordogne and le Périgord Noir, enjoy your choice of Vini’s delicious breakfast. The family suite, 50 meters square large, can welcome any family of four in a cosy atmosphere. The en-suite parents’ bedroom has a queen-size bed. The living room includes a fitted kitchen and provides two twinned-beds. You will enjoy the private terrace to dine outside or take a rest. 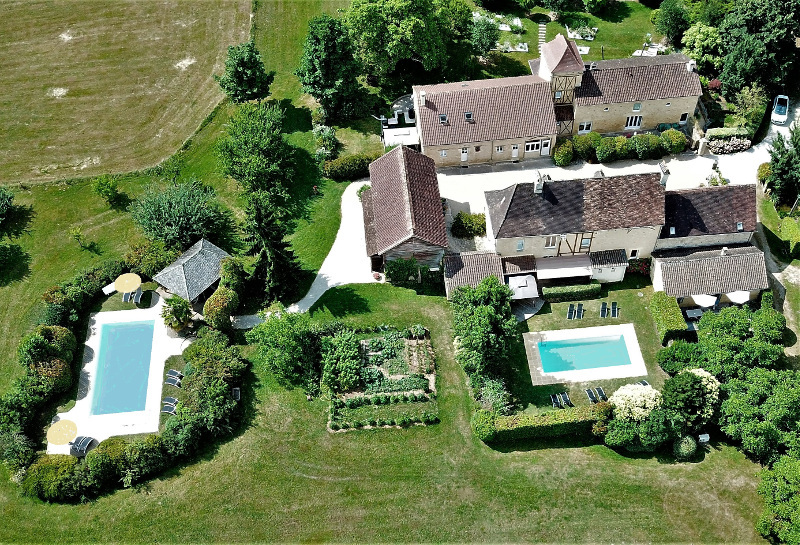 The 4-star gite, with its four en-suite bedrooms, is provided for ten people. A fitted kitchen and a large living room will let you thoroughly enjoy this self-catering home. 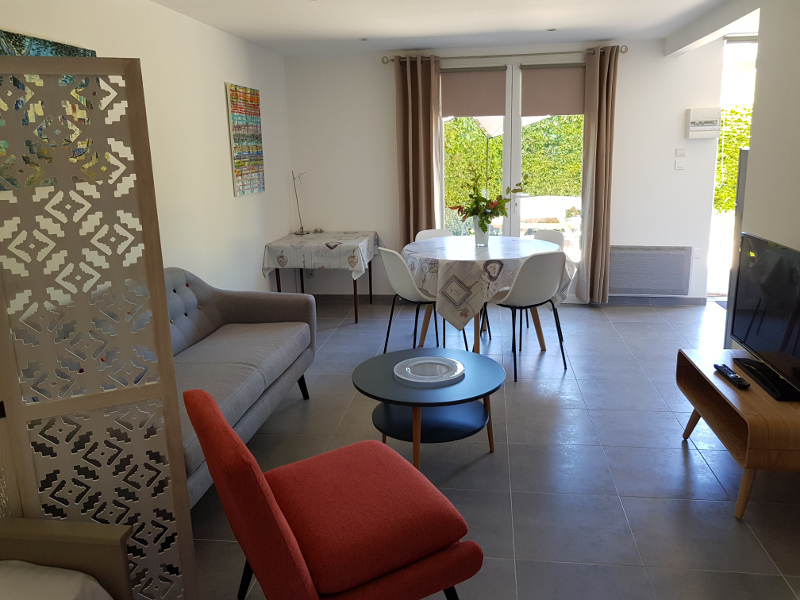 You will also benefit from beautiful furnished terraces where to dine or rest, and from a private heated swimming pool behind a curtain of greenery. The continental breakfast, served at your table offers you hot drinks, fruit juices, croissants and similar pastries, different sorts of bread, homemade jams, as well as assorted cooked meats and cheeses. On top of it, relish our well-renowned fresh fruit salad. We will of course adapt to any diet requirements. 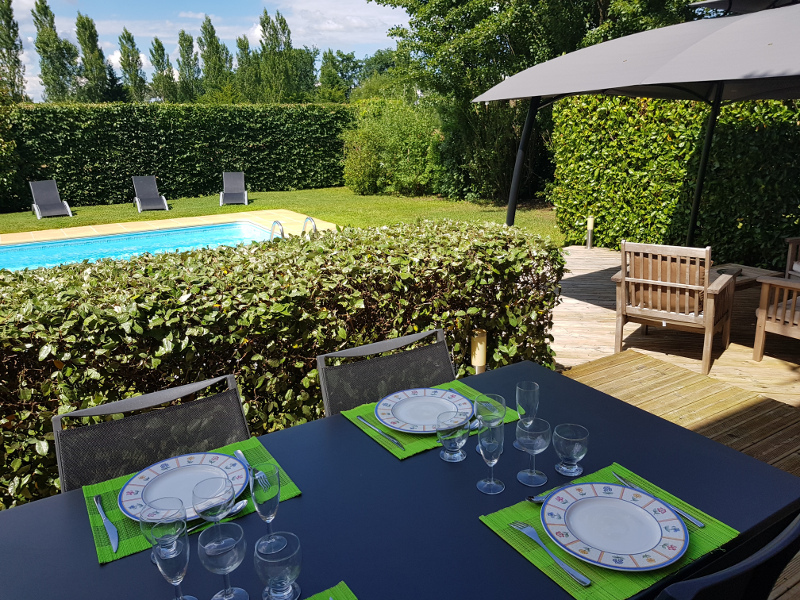 Friendly and helpful, Flo and Vini will give you all the informations you will require, and make your stay in this beautiful part of France a never-forgotten holiday. 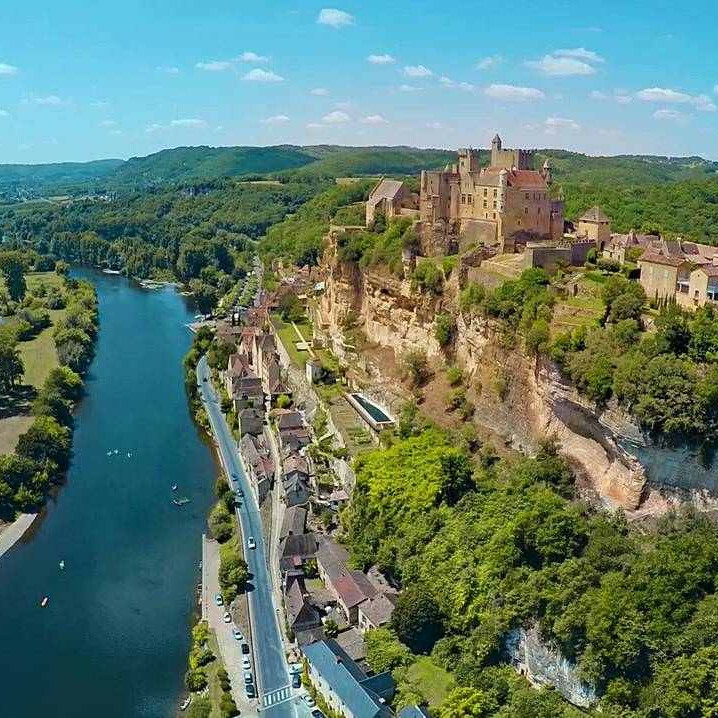 Le Clos Vallis, is ideally located in the heart of Dordogne and close to all amenities including restaurants, castles, caves and number of historic places.